A popular leader of the National Union of Road Transport Workers, and All Progressives Congress member, Musiliu Akinsanya, aka MC Oluomo appears to be gradually recovering from his stab wounds. He was seen on camera with his friend, Taye Currency who is a fuji musician. reluctant to talk as he managed to put up smiles for the camera in an apparent move to debunk rumours that he had quietly died after being reportedly stabbed twice with a poisonous knife. 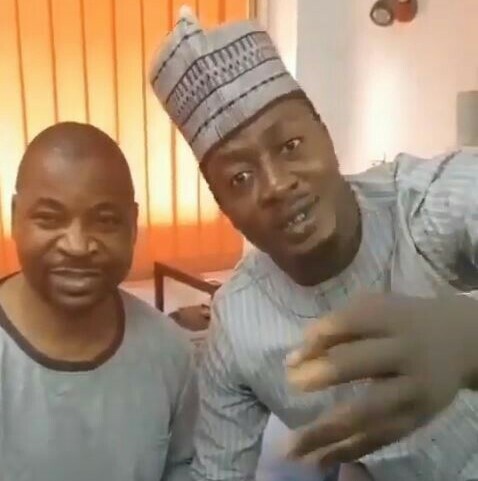 It is not clear if MC Oluomo will be fit for the forthcoming gubernatorial election in Lagos State where he is expected to play a major role as a 'mobilizer' for the ruling APC in the Oshodi Local Government Area.